I read this article in the New York Post yesterday about GE CEO Jeffrey Immelt, being tagged by President Obama to lead the President’s Council on Jobs and Competitiveness. Hmm… interesting pick. I spent exactly ten years drawing a GE paycheck, year-after-year listening to HR buzz words like staff reductions, cut backs, reorganization, and the ever popular, doing more with less. The less part of that statement meant less people. Let’s examine how the GE CEO has (or has not) created jobs at GE. In 2009, GE eliminated 18,000 jobs for US workers. Since Immelt took the helm in 2002, U.S. headcount is down to 134,000. During his tenure, GE workers based in the US, as a percentage of total employees, has fallen from 52% to 44%. We will find out what the job-killing toll is for 2010 when the annual report hits the streets in February. If 2009 is any indication, I’m guessing U.S. headcount could be down to 25,000, or less. 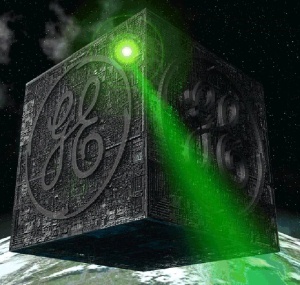 Any employee growth that GE has seen since Immelt came to power was overseas. Maybe it’s just my imagination at work. I remember when they brought good things to life. Since 1980, when GE had 405,000 employees worldwide, they have been relentlessly shedding jobs to a global workforce of 304,000, nearly 40,000 of those jobs were lost under Immelt’s management. GE’s own website clearly shows a steady decline in US jobs since 2005. It smells like business as usual between big corporation and the White House. GE secretly had itself classified as a bank so it could take advantage of nearly $80 Billion in TARP funds. Free government money? Resistance is futile! This entry was posted in Jobs, Observations and tagged GE, Immelt, jobs on January 22, 2011 by Mickey Mills.